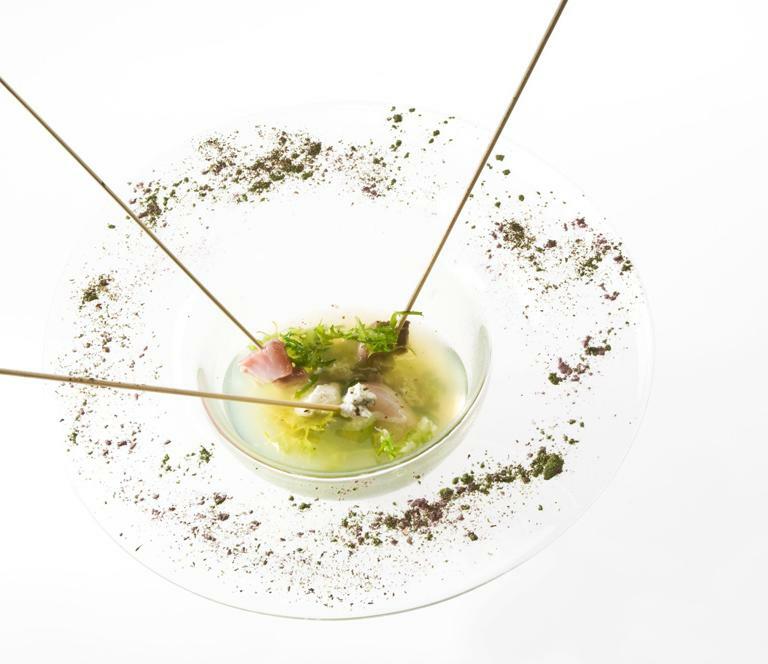 «Close your eyes for a moment and try to think of four territories joining forces to promote their art, their culture and most of all their culinary heritage. Now open your eyes: this has happened. 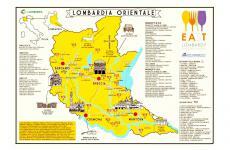 It’s called East Lombardy». These are the words of the mayor of Cremona Gianluca Galimberti, on the stage of Identità Golose with Roberta Garibaldi, the project’s scientific director, the mayor of Bergamo Giorgio Gori, the two vice-mayors of Brescia, Laura Castelletti, and Mantua, Giovanni Buvoli, the president of the Chamber of Commerce of Bergamo Giovanni Paolo Malvestiti. 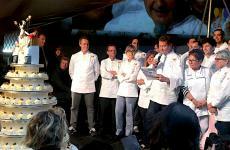 Together, for the initial launch of the great project. 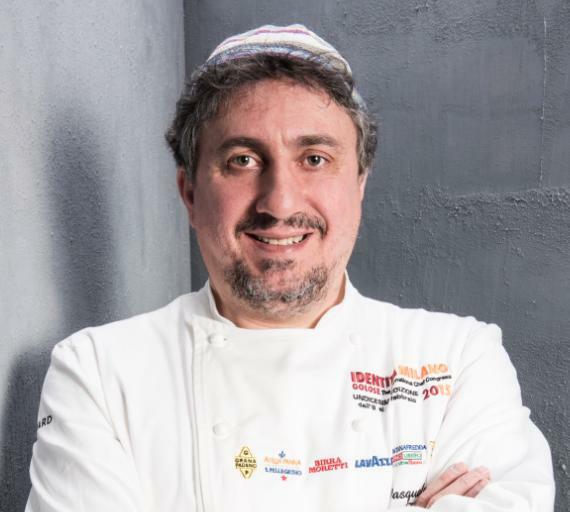 «Thanks to this project that has the restaurant industry at its core, we’ve discovered an area extremely rich in high quality products as well as great restaurants – said Gori – and indeed our restaurateurs and chefs are the main testimonials of this project as they are the keepers of a gastronomic knowledge placed in between the network of breeders and producers». 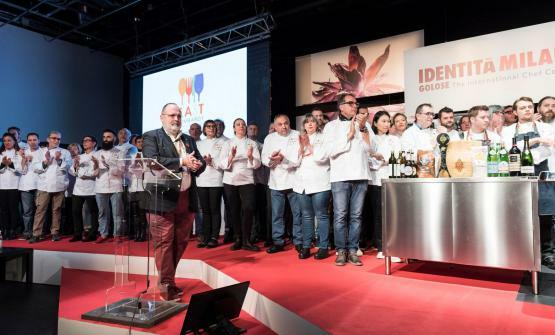 The big launch of the European Region of Gastronomy 2017 pointed the spotlights on a territory that has overcome parochialism. Indeed it gave life to a teamwork in the area between river Po, Switzerland and the Alps, with all its diversities and excellences. From products to producers, from delicatessens to restaurants, to the best examples of hotellerie in all its shapes, East Lombardy represents an invitation to discover a universe of taste characterised by quality and Italian style. 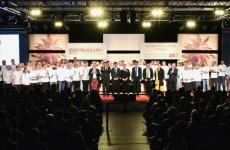 Thanks to the involvement of the many representatives who took part in the project and were the first to join and believe in its potential, East Lombardy had an expo area within the congress in which chefs and producers were at work in turns, participating daily in cooking demos and tastings, so that everyone could take on a journey and discover the food, history and tradition of East Lombardy. «The research we conducted at university on wine and food tourism shows a constantly growing trend: 93% tourists in the world want to enjoy a memorable wine and food experience while travelling, and 43% of the tourists from the main countries in the world travelled in the past few years exclusively for food related reasons» said Roberta Garibaldi, scientific director at East Lombardy and professor at Università degli Studi di Bergamo. «With East Lombardy a team was immediately formed – continued Laura Castelletti – We got a better understanding of the four cities and their territories and worked to valorise their wine and food potential». And Giovanni Buvoli: «We created synergies, convinced as we we’re that everyone will benefit greatly from them. Each one will promote their products, but we’re sure the various activities will have significant economic outcomes for everyone». 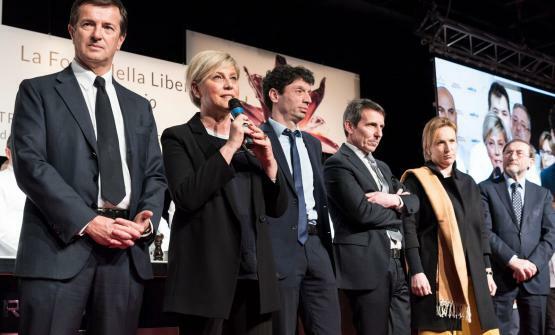 «East Lombardy is a great testimony of sensitivity towards social and tourism aspects as driving forces for our territory, even in terms of economics» said Giovanni Paolo Malvestiti at the end, representing the four Chambers of Commerce. 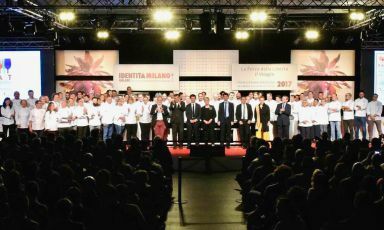 The moment when over 100 chefs from East Lombardy got on stage – which could hardly fit them all – was moving. 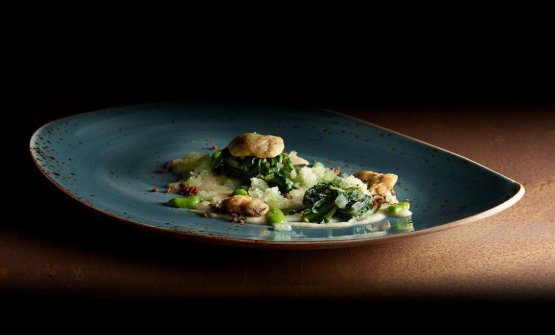 Of many of these we already know the story and recipes, and they presented them, for instance, with films on the 20 dishes best representing the tradition of the four areas, with small tastings of their culinary art, first in video, then in practice. However, they were just representatives of all those taking part in the project: chefs, restaurants, shops, hospitality businesses, producers and distributors from all of East Lombardy who joined forces to represent and give value to the local culinary identity and develop a more innovative, welcoming and sustainable approach, in the style of the real “good food” of Lombardy. The project’s courage showed that by working as a team and joining resources, you can valorise and promote a territory, focusing on an offer that is more and more integrated with local art, culture, nature and gastronomy. 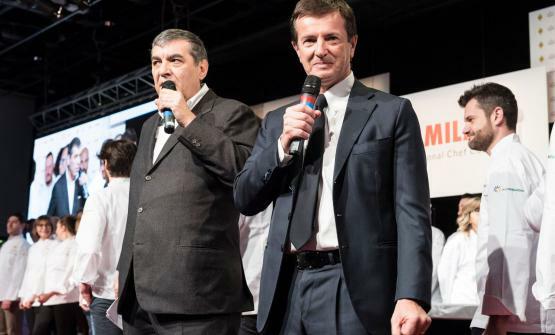 The successful collaboration created by the four territories on this occasion aims to be long lasting, so that it can bring benefits in the future too, to all those working with food and wine: those who take care of the land, those who work there, those who cook its products.